Tanglewood Academy is a learning center in Pembroke Pines that is dedicated to fostering healthy early childhood development. Our highly trained staff members actively engage children in the learning process and invite parental involvement in our preschool. Our early learning center is pleased to offer a voluntary pre-k program, or VPK, intended for four-year-olds who are getting ready for kindergarten. VPK offers three-hour classes in the mornings during the week. Parents may choose to enroll their children in our enhancement program for after-hours day care. Children who did not participate in the VPK program the previous year and will be entering kindergarten in August are welcome to enroll in our full-day summer VPK program. Voluntary pre-k supports children’s development by introducing them to a rich environment full of learning experiences. Early childhood education is the stepping stone toward later academic success. In VPK, children develop crucial pre-literacy and pre-math skills. They also work on their social skills during their interactions with their peers. Preschool offers much more than day care for your child. Early childhood education prepares children for a lifetime of learning. It’s an exciting period of development during which your child will improve his or her motor skills, acquire pre-literacy and pre-math skills, and learn how to interact appropriately with other children. It can be helpful for parents and children alike to learn more about what to expect for the first day of preschool near Pembroke Pines. Children can easily sense the moods of their parents. When discussing preschool with your child, use positive language and an upbeat tone of voice. Read books together about starting preschool and discuss what schedule your child might follow at the early learning center. For example, talk about circle or group time, story time, outdoor play, group activities, and snack time. Help your child adjust to a new sleep and wake schedule, if need be, by gradually changing bedtimes and wake-up times a couple of weeks before the first day. It’s perfectly normal for children to be a little nervous on the first day of school. You can comfort your child by letting him or her take along a favorite object such as a stuffed animal. When you arrive at the preschool with your child, you can take a few minutes to get him or her settled in. Point out interesting things in the classroom and meet new classmates with your child. After a few minutes, give your child a hug and say goodbye. It’s usually best not to have long goodbyes; however, avoid sneaking out when your child isn’t looking. You may be surprised at how quickly your child will adjust to the classroom once you’ve left. Your child will learn so much in preschool, but it’s still important to support his or her development at home. Read books together every day. Ask your child to point out colors or shapes. Support letter recognition skills by giving your child a set of child-safe magnetic letters to play with. Remember to keep in touch with your child’s preschool teacher to be advised of your little one’s progress. Choosing a child care center for your precious little one is one of the most important decisions you’ll make as a parent. 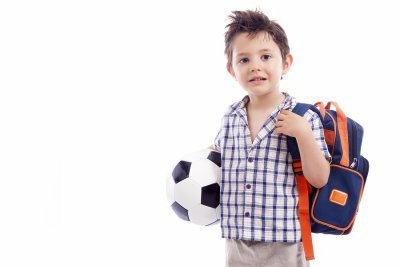 There are many factors to consider when you’re evaluating your options for child care near Pembroke Pines. To make sure you’re arranging for the best possible child care, you can evaluate the center’s approach toward early childhood education, assess the staff members, and tour the facilities. The student-to-teacher ratio at the early learning center is crucial. When caregivers must supervise too many children at once, they cannot give each child sufficient attention and care. Toddlers need to feel loved, safe, and secure, and they need to develop trust in their caregivers. 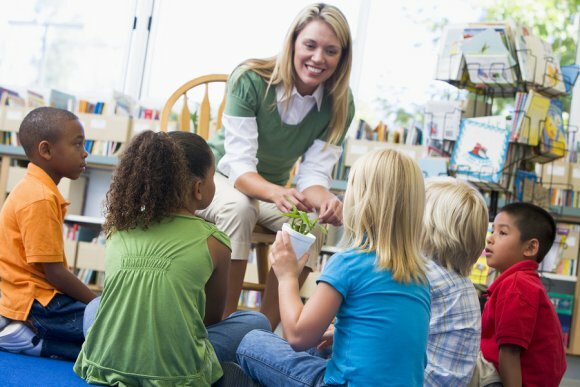 When you tour the child care center, ask about the student-to-teacher ratio and observe the staff members’ interactions with the children in their care. Child care facilities should be clean and safe, with plenty of natural lighting and activity areas for children to explore. Check to see that your child will have fun activities to work on and that your child will have access to learning materials, such as picture books. Outdoor play is an essential part of healthy childhood development. Choose a child care center that offers a spacious and safe playground. Check whether outdoor play is properly supervised. Many parents like to choose a child care center that offers programs for children of varying ages. For example, if you have a toddler, consider enrolling him or her in a day care program at a center that also offers a preschool for four-year-olds. Continuity is important for healthy development in young children. Depending on your family’s needs, you might also look for a program that offers after-school care and a summer camp. Once you think you know which child care center you’ll choose, check its policies before enrolling your child. Are snacks provided or will your child bring a snack from home? Is the center a nut-free zone? Are all children required to be up-to-date on their immunizations? Additionally, inquire about drop-off and pick-up policies.